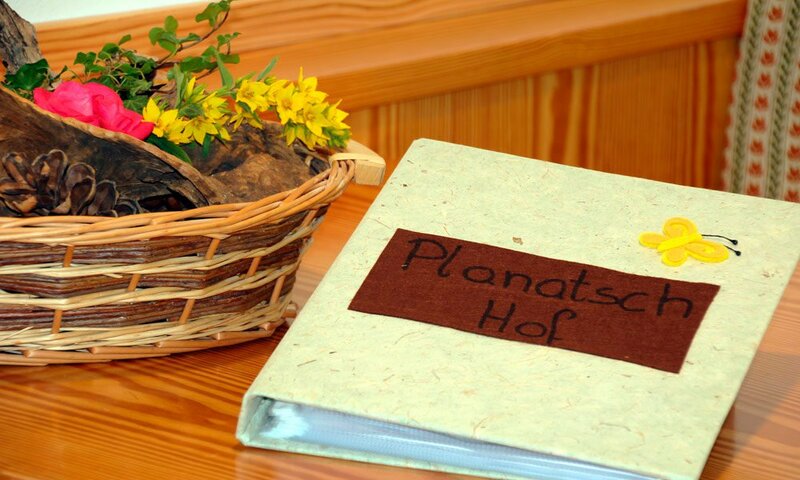 We invite you to take a closer look at the farm and family history of the Planatschhof and find out more about our farm. History and current events have always affected people’s lives on the farm. Here at the farm Planatschhof, much has happened in the past centuries. The farm was first mentioned in documents already back in 1530. Previously, it was called “Planatschgütl”. The farm products could hardly support a family, so the former owners also worked as lumberjacks, hunters, rake makers or carpenters. In 1700, the family of Fischnaller Josef managed the farm. This went on for several generations. In 1800, Mr. Jakob Kantioler from the neighbouring community Lazfons – who worked as a servant at the Kabishof (a farm in St. Peter) – purchased the farm from Josef Fischnaller. Since then, the farm is managed by the hard-working hands of the KANTIOLER Family. In 1962, Mr. Paul Kantioler, father of Andreas (the present owner), took over the farm. Since 1972 Paul manages the farm together with his wife Traudl and their four children Michael, Helene, Monika and Andreas. Over the years, the barns and stables were renovated and the house was rebuilt. In 1980 the house was extended and renewed. All rooms now have showers and WCs, which was something special for that time. Traudl cooked for the guests. Since 2003, instead of simple rooms, holiday apartments are rented. Unfortunately, Paul Kantioler died in an accident at the farm on November 5, 2007. 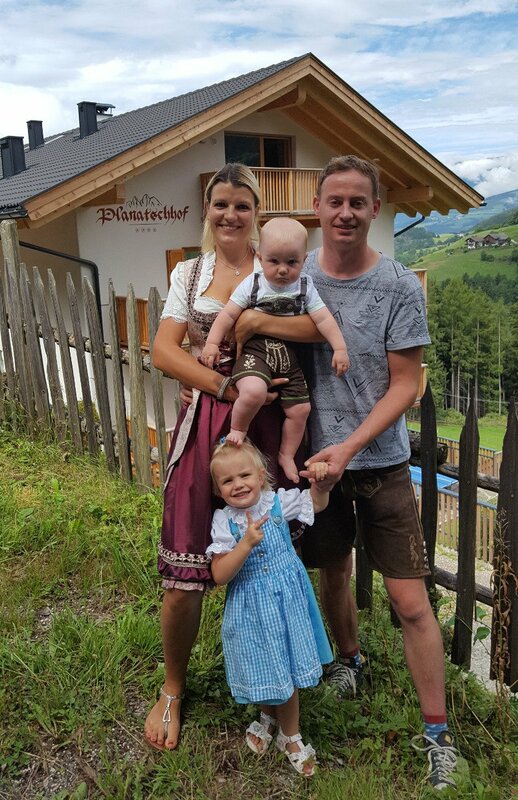 The youngest son Andreas now manages the farm Planatschhof together with his wife Sonja. In January 2015, their daughter Anna was born. In 2015/16 we’ve renovated and extended our house for our guests, and also our private apartment was renewed. After much work and effort, the house now shines in a new light. 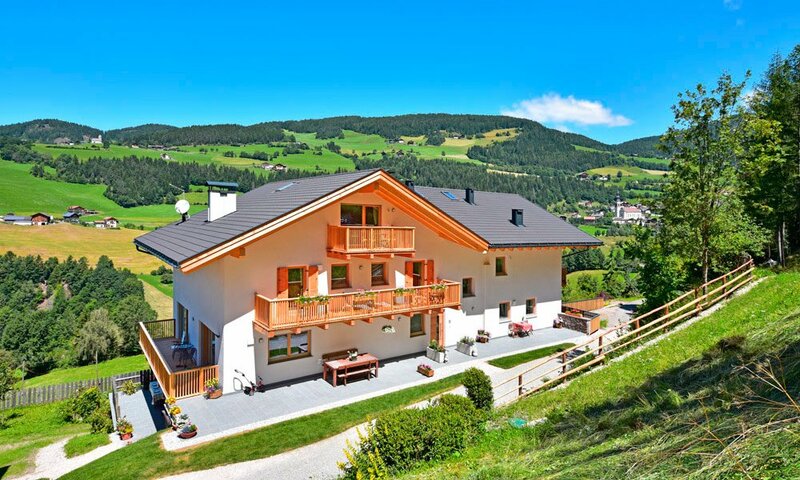 Starting from summer 2016, our guests can look forward to comfortable holiday apartments.